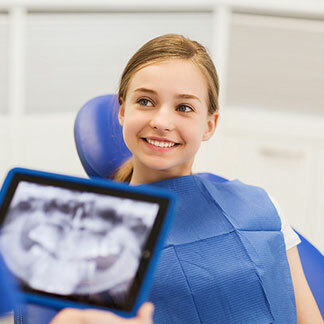 We have specialized equipment (3D CT) to evaluate growth and development, and soft tissue profiles in 3D, which helps us properly diagnose your child’s skeletal or dental problems. We have the resources and experience necessary to address the most demanding orthodontic needs in friendly and fun surroundings. Our enthusiastic and talented staff ranks among the best in the Bay Area, and will provide you with the highest-quality care. In order to provide the most up-to-date treatment, our orthodontist and her staff committed to expanding their clinical skills through ongoing continuing education. Comprehensive dental care involves a team approach, and our orthodontist and pediatric dentist work closely to ensure optimum results.